How to use EaseFab Video Converter? 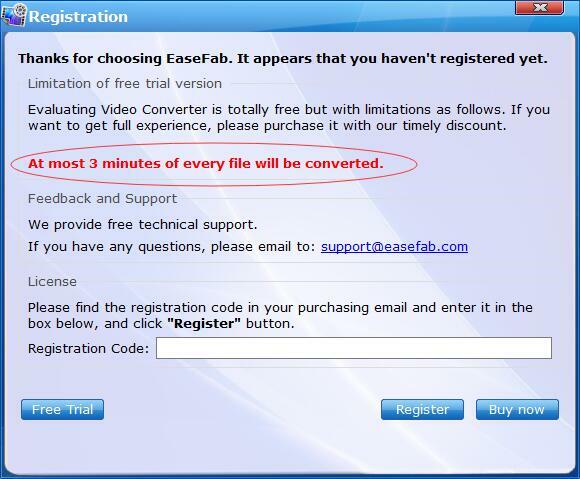 Note: We have both Windows version and Mac version for EaseFab Video Converter. 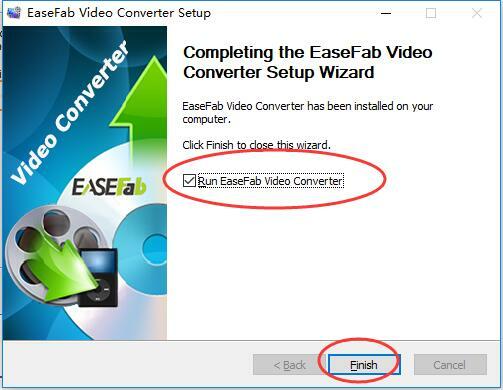 For the whole guide of EaseFab Video Converter, we will mainly introduce the Windows version, and the Mac version has the same functions if there is no special remark. 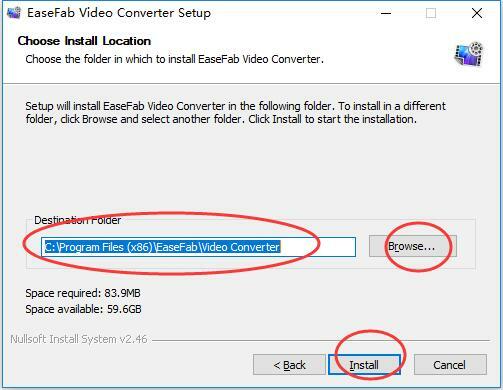 To facilitate your use of EaseFab Video Converter, there are 4 main modules available to get started: Install, Basics, Settings and Register. Download the installation package. Choose the right version per your needs. From the pop-up window, click Next to go ahead. In the coming window, read the end user license agreement carefully and click I Agree to go ahead. 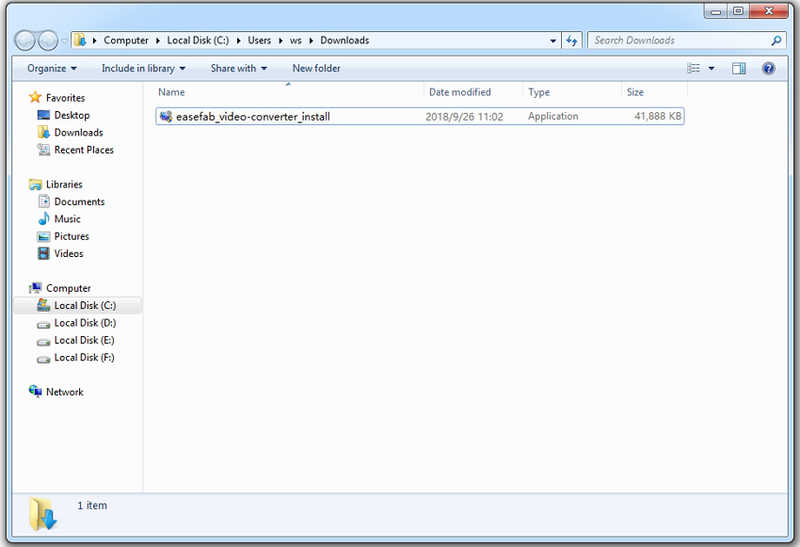 Then, browse the destination folder to save your installation files. After that, click Install to finish the installation. 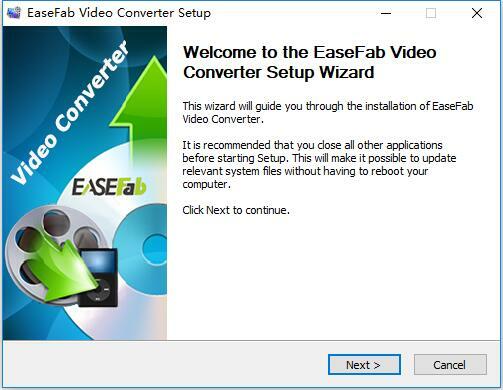 It will take seconds to install EaseFab Video Converter successfully. 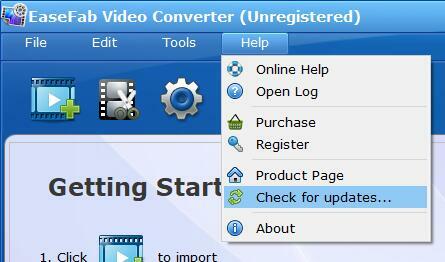 A window like below will prompt you that you can click Finish button to open EaseFab Video Converter at once. 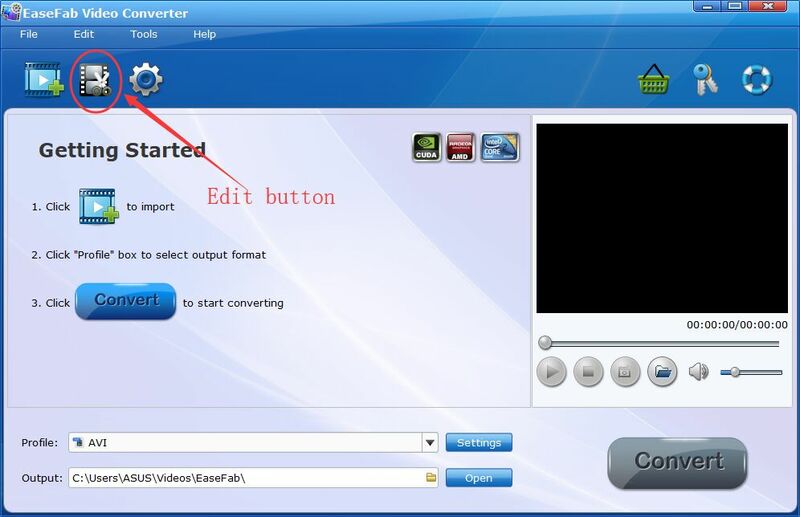 After clicking Finish button, you will enter the main window of EaseFab Video Converter shown as below. 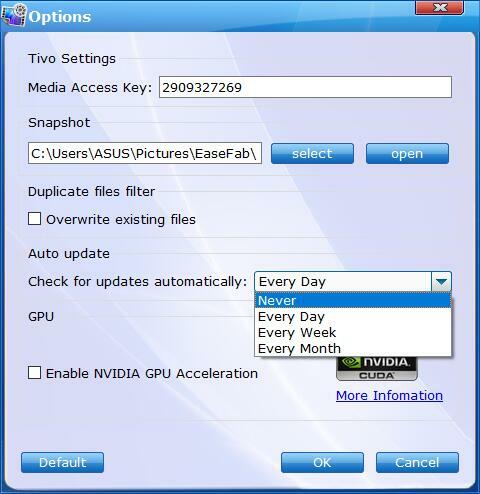 With the trial version of EaseFab Video Converter, you'll have the following limitations. 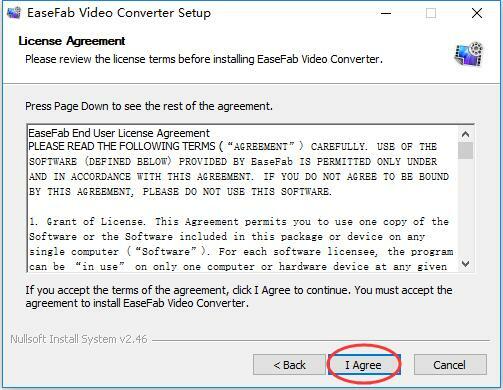 If you want to enjoy the full features without any limitation, please simply click icon at the upper-right corner to purchase EaseFab Video Converter from the website; If you already have one license code, please click icon to enter the Register window. Then, copy and paste the licensed E-mail address and the registration code to avoid any typos, then click the Register button to go ahead. Meanwhile, please make sure that the Internet connection is fine while you register EaseFab Video Converter. 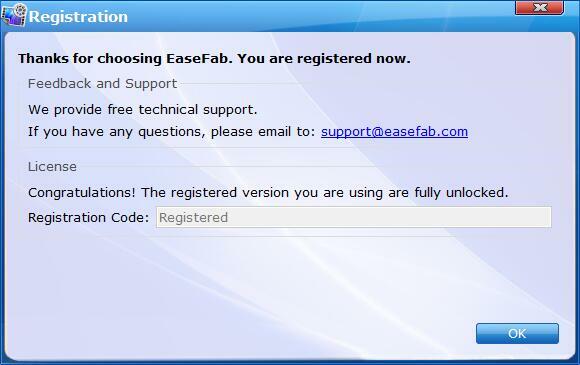 Once EaseFab Video Converter is registered successfully, you'll see a pop-up registration successful page. If you want to check if your Video Converter is the latest version and update it, you can follow the steps below to update automatically. After that, a Update window will pop up to see if you need to update the program. You can also click Cancel to install it next time. You can change Check for updates automatically to Every Day/Week/Month/Never accordingly in Options Window by moving mouse cursor to Tools > Options. Note:If you're used to using the same version all the time, please choose Never to stop the automatic update. 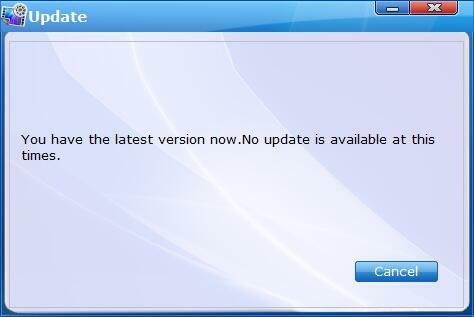 Whenever you need an update, please choose Check for updates under Menu to make an update manually. Basically, EaseFab Video Converter is a video encoding tool which can help you convert all the popular and unusual media formats. Support a wide range of output formats, like WebM to MP4, TS to MP4, MP4 to MPEG, AVI to MOV. Meanwhile, you can edit your video before the conversion, like trim, crop videos etc. Moreover, you can add subtitles to your video files for more convenient enjoyment. After importing, all video files will be listed in the program. You can preview the imported movie file by double clicking or checking one of them and click the button under preview window. By clicking the button under the preview window, you can take snapshot from the playing window as Thumbnail or for other use. By clicking the button, you can find the snapshots you took. By clicking Select Output Folder button on main interface, you can choose the directory where you'd like to put the output files. By ticking off Merge all videos into one file option above Settings button, you can merge the ticked files in list into one single file. By clicking Clear button, you can remove all video files.